Platinum metal has a number of useful properties, which explains its application in a wide-range of industries. It is one of the densest metal elements - almost twice as dense as lead - and very stable, giving the metal excellent corrosion resistant properties. A good conductor of electricity, platinum is also malleable and ductile. Platinum is considered a biologically compatible metal because it is non-toxic and stable, so it does not react with, or negatively affect body tissues. Recent research has also shown platinum to inhibit the growth of certain cancerous cells. An alloy of the platinum group metals (PGMs), which includes platinum, was used to decorate the Casket of Thebes, an Egyptian tomb that dates back to about 700BC. This is the earliest known use of platinum, although pre-Columbian South Americans also made ornaments from gold and platinum alloys. Spanish conquistadors were the first Europeans to encounter the metal, although they found it a nuisance in their pursuit of silver because of its similar appearance. They referred to the metal as Platina - a version of Plata, the Spanish word for silver - or Platina del Pinto because of its discovery in the sands along the banks of the Pinto river in modern-day Columbia. Although studied by a number of English, French and Spanish chemists in the mid-18th century, Francois Chabaneau was the first to produce a pure sample of platinum metal in 1783. In 1801, Englishman William Wollaston discovered a method for effectively extracting the metal from ore, which is very similar to the process used today. 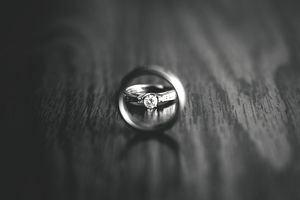 Platinum metal's silver-like appearance quickly made it a valued commodity amongst royalty and the wealthy who sought jewelry made from the latest precious metal. Growing demand led to the discovery of large deposits in the Ural Mountains in 1824 and Canada in 1888, but the finding that would fundamentally change platinum's future did not come until 1924 when a farmer in South Africa stumbled across a platinum nugget in a riverbed. This ultimately led to geologist Hans Merensky's discovery of the Bushveld igneous complex, the largest platinum deposit on earth. Although some industrial applications for platinum (e.g., spark plug coatings) were in use by the mid-20th century, most of the current electronic, medical and automotive applications have only been developed since 1974 when air quality regulations in the US initiated the autocatalyst era. Since that time, platinum has also become an investment instrument and is traded on the New York Mercantile Exchange and the London Platinum and Palladium Market. Although platinum most often naturally occurs in placer deposits, platinum and platinum group metal (PGM) miners usually extract the metal from sperrylite and cooperite, two platinum-containing ores. Platinum is always found alongside other PGMs. In South Africa's Bushveld complex and a limited number of other ore bodies, PGMs occur in sufficient quantities so as to make it economical to exclusively extract these metals; whereas, at Russia's Norilsk and Canada's Sudbury deposits platinum and other PGMs are extracted as by-products of nickel and copper. Extracting platinum from ore is both capital and labor intensive. It can take up to 6 months and 7 to 12 tons of ore to produce one troy ounce (31.135g) of pure platinum. The first step in this process is to crush platinum containing ore and immerse it in the reagent containing water; a process known as 'froth flotation'. During flotation, air is pumped through the ore-water slurry. Platinum particles chemically attach on to the oxygen and rise to the surface in a froth that is skimmed off for further refining. Once dried, the concentrated powder still contains less than 1% platinum. It is then heated to over 2732F° (1500C°) in electric furnaces and the air is blown through again, removing iron and sulfur impurities. Electrolytic and chemical techniques are employed to extract nickel, copper, and cobalt, resulting in a concentrate of 15-20% PGMs. Aqua regia (a concoction of nitric acid and hydrochloric acid) is used to dissolve platinum metal from the mineral concentrate by creating chlorine that attaches to platinum to form chloroplatinic acid. In the final step, ammonium chloride is used to convert the chloroplatinic acid to ammonium hexachloroplatinate, which can be burned to form pure platinum metal. The good news is that not all platinum is produced from primary sources in this long and expensive process. According to United States Geological Survey (USGS) statistics, about 30% of the 8.53 million ounces of platinum produced worldwide in 2012 came from recycled sources. With its resources centered at the Bushveld complex, South Africa is by far the largest producer of platinum, supplying over 75% of world demand, while Russia (25 tonnes) and Zimbabwe (7.8 tonnes) are also large producers. Anglo Platinum (Amplats), Norilsk Nickel and Impala Platinum (Implats) are the largest individual producers of platinum metal. For a metal whose annual global production is a mere 192 tons, platinum is found in, and critical to the production of, many everyday items. Platinum's corrosion resistance and high-temperature stability make it ideal as a catalyst in chemical reactions. Catalysts speed up chemical reactions without themselves being chemically altered in the process. Platinum's main application in this sector, accounting for about 37% of total demand for the metal, is in catalytic converters for automobiles. Catalytic converters reduce harmful chemicals from exhaust emissions by initiating reactions that turn over 90% of hydrocarbons (carbon monoxide and oxides of nitrogen) into other, less harmful, compounds. Platinum is also used to catalyze nitric acid and gasoline; increasing the octane levels in fuel. In the electronics industry, platinum crucibles are used to make semiconductor crystals for lasers, while alloys are used to make magnetic disks for computer hard drives and switch contacts in automotive controls. Demand from the medical industry is growing as platinum can be used for both its conductive properties in pacemakers' electrodes, as well as aural and retinal implants, and for its anti-cancer properties in drugs (e.g., carboplatin and cisplatin). Wood, Ian. 2004. Platinum. Benchmark Books (New York). The International Platinum Group Metals Association (IPA).